MOVE IN READY RANCH HOME WITH 1 CAR GARAGE! Freshly painted - New Carpet! HVAC - NEW in 2014! Great Open Concept! This home feels bigger than it is. Refrig-Range-Dishwasher NEW in 2015! Washer & Dryer included! 1 year home warranty included! Private backyard fenced! Front yard maintained by the HOA. NEW Front door & sliders out to patio. 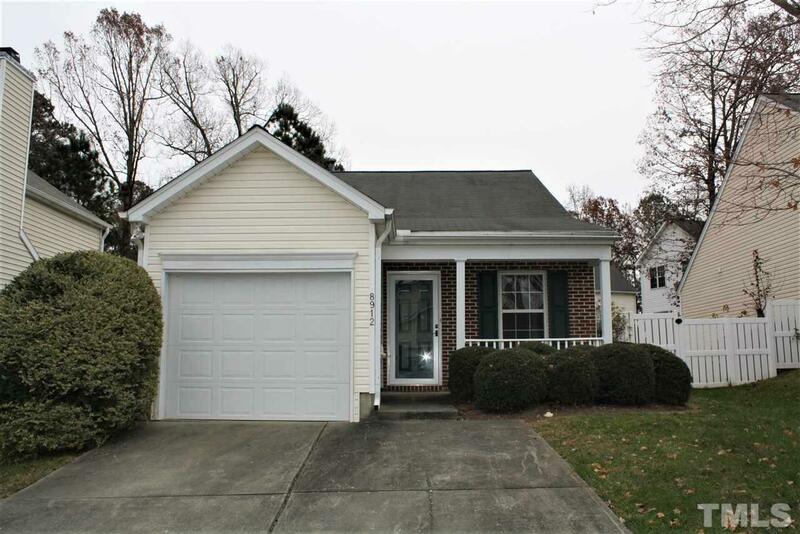 Great location near RTP, Airport, I-540, Shops, Restaurants & Brier Creek! This one will go quick!